CINCINNATI — Linebacker James Harrison is inactive today against Minnesota because of a concussion suffered last week at Pittsburgh but left guard Andrew Whitworth and defensive end Carlos Dunlap will suit up for the Bengals. Whitworth, Dunlap and Harrison all missed practice time this week because of head injuries but returned to practice on Friday. 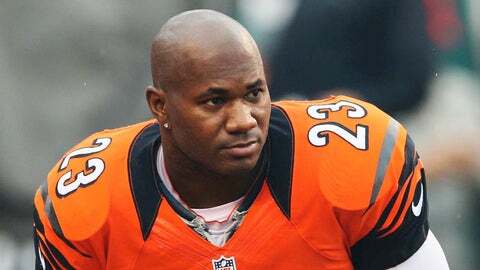 Cornerback Terence Newman did not practice this week and will miss his second game because of a left knee sprain, while defensive tackle Devon Still is inactive because of a back injury that forced him to miss practice on Thursday and Friday. Dre Kirkpatrick is expected to start in place of Newman, while Michael Boley is expected to start for Harrison at the SAM linebacker spot. Cincinnati’s other inactives are: wide receivers Dane Sanzenbacher and Ryan Whalen, running back Rex Burkhead and offensive lineman Dennis Roland. Running back Adrian Peterson is active for Minnesota despite a foot injury that kept him out of last week’s game against Philadelphia and limited his practice reps this week. The Vikings will be without cornerback Xavier Rhodes and tight end John Carlson. Rhodes has an ankle injury and will be replaced by former Bengal draft pick Shaun Prater in the starting lineup. Carlson was placed on injured reserve Saturday because of a concussion.